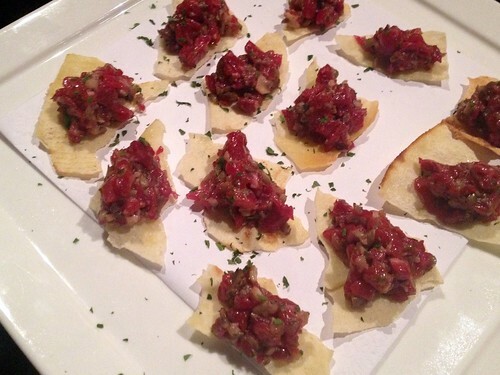 Discovering new and surprising wine pairings certainly keeps my thirst and hunger on full alert, so I was thrilled by the opportunity at a recent lunch to test out the match of steak tartare with a dry Spumante. This particular Italian sparkler, from Cantina di Canelli, was a blend of Pinot Noir and Chardonnay, and a real charmer. I loved how well it worked with a beef fillet tartare; high-quality, raw beef has a sweetness to it that was a great foil to a dry Spumante. 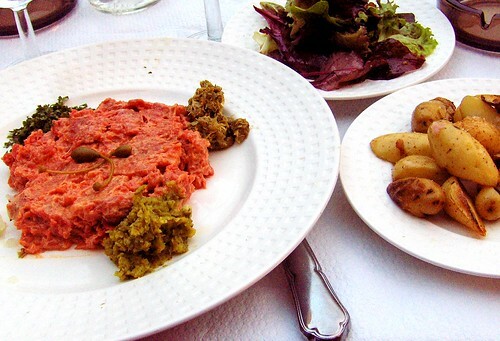 The version of tartare I enjoyed, pictured below, also had wild mushrooms. They gave an earthy accent which complimented the slight toasty/yeasty qualities that many fine sparkling wines and Champagnes have. 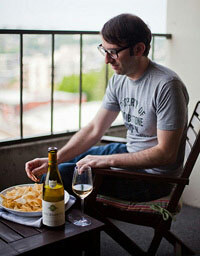 This was a two-fold lesson in food and wine. First, when I think “Spumante” I am usually anticipating and assuming some sweetness, due to some unfortunate experiences in my wine-drinking youth. I curse my preconceived notions! Second, there is an exciting world of pairings beyond what is purportedly set in stone. If you asked me what I thought of steak tartare and Spumante a month ago, I’d be thinking about putting you in a padded room. But if you stay constantly curious you never know what you might discover. Full disclosure: The tartare and Spumante were served at a lunch I attended as a guest of the winery and Italian Trade Commission.